Schaffner extends their Common Mode Choke product family with the introduction of the RN 218 series. The 9 high-performance RN 218 common mode chokes have been specifically developed to meet the highest impedance characteristics. 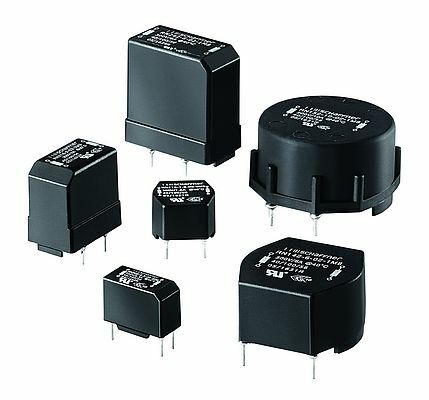 Common mode chokes suppress common mode or asymmetric noise generated by any kind of switching electronic device, including switch mode power supplies or other kinds of transistor driven logic. The common mode choke is at the centre of any design-in EMC filter and most beneficial in developing the perfect solution for customer specific filter designs in terms of cost, performance and size. Based on the different families available, typical applications include: (switch mode) Power Supplies, information and communications technology, medical devices and motor drives. With the introduction of these new products Schaffner also unveils design-kits for RN and RT common mode chokes containing samples of typical choke types. Both are available in two versions covering horizontal or vertical choke forms and are specifically designed to ensure simple logistics and convenient assembly by end users. With their comprehensive choke portfolio Schaffner can cover a very wide range of applications. The critical issue is to select the right choke for each individual customer application. To speed up the time to market of designs and to make the selection as simple as possible a catalogue for chokes is available and can be downloaded from Schaffner’s website. The catalogue covers most basic technical specifications and also gives a deeper insight in the usage and typical applications of each choke family. At the same time a datasheet is available for the RS chokes, which are the only differential mode chokes Schaffner is offering. Those can be used in combination with all common mode chokes to create high performance EMI Filters on a PCB.